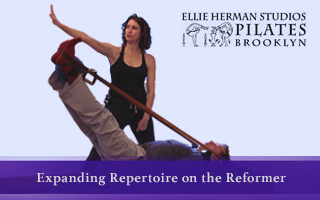 Ellie Herman will teach advanced repertoire and original exercises she developed over her 30 year Pilates career. Ellie will also review her favorite cues to help students deeply understand the initiation and muscle sequencing involved in each exercise. Ellie will also cover how spring settings affect exercises, teaching cues, alignment, anatomy and modifications.